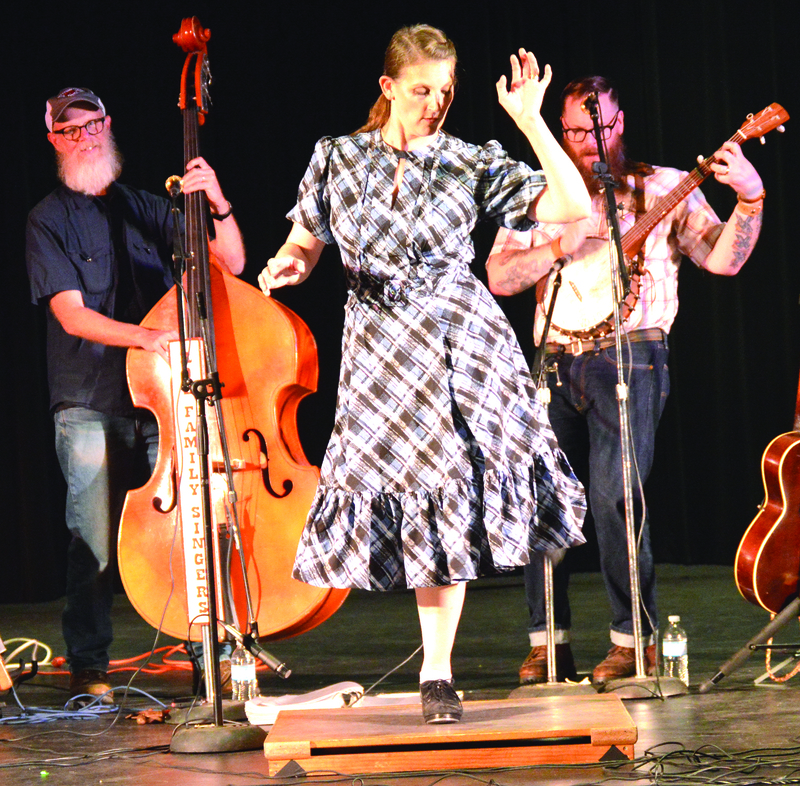 Attendees at this year’s Old-Time Music, Ozark Heritage Festival will be treated to a great schedule of musical workshops during the two-day event May 31 and June 1. Artists who know the value of passing along the knowledge and joy of traditional music will share their talents with all who want to participate. Workshops will be held in the Dogwood Rooms at the West Plains Civic Center. The two-day annual Festival in downtown West Plains, Mo., celebrates Ozarks music and culture. Admission to all festival events is free. Festival hours are 3-9 p.m. Friday and noon-9 p.m. Saturday. 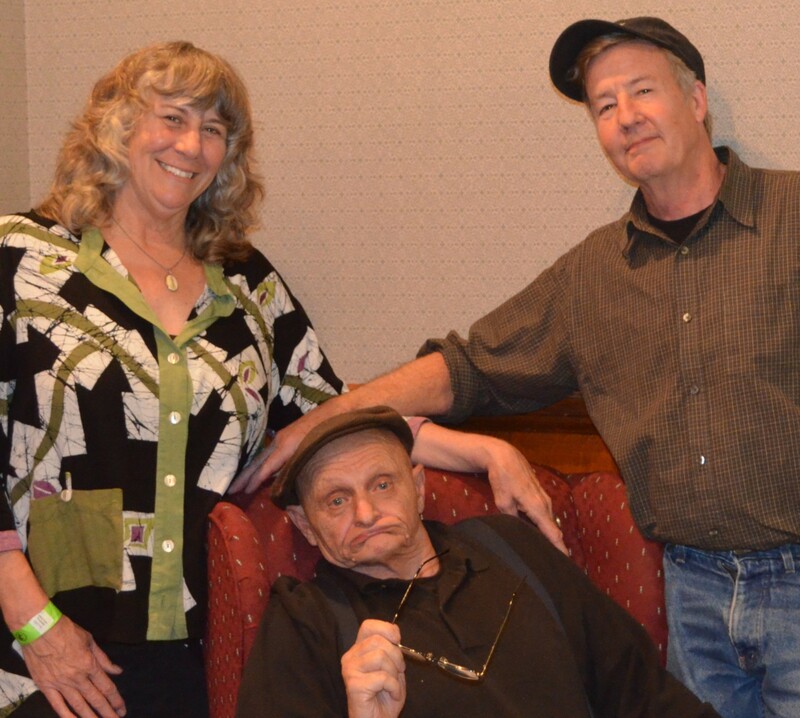 After twenty plus years of playing traditional music together Patt Plunkett and Charlie Walden (aka Patt & Possum) have learned a thing or two about Ozark fiddling. Charlie and Patt both grew up listening to and playing traditional mid-western fiddle music. Charlie learned as a teenager at the feet of some of Missouri’s finest old-time fiddlers, including Pete McMahan, Taylor McBaine and Cyril Stinnett and was encouraged by countless others. 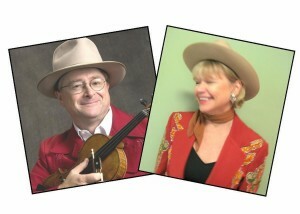 Patt started out by playing piano for her grandfather, Carl Voorhees, who was a seasoned Illinois square dance fiddler. She went on to play Irish-style piano accompaniment and formed a ceili band in Chicago, which won the local Fleah Ceol twice. She is also a professional music educator and trained singer. Patt’s love of music and natural ability as a dancer led her to take an interest in square and contra dance calling and instruction along with individual clogging and step dance performance. Charlie and Patt are active contra and square dance musicians, performing for numerous such events each year. They serve as instructors at several music camps, giving instruction on fiddle, piano styles, traditional dance and vocal music. Patt and Possum completed their third tour of Australia in November 2013. Steve is a traditional dancer who delights in introducing young folks of all ages to Old Time square dancing, percussion, and percussive dance. His experience started with square dances in his grandfather’s front room in the southern Missouri Ozarks and includes firsts in national buck dance and flatfoot dance competitions. He has taught dance from the east coast to the Rockies, and across the British Isles. His approach to teaching Flatfoot and Buck dance is to find and encourage the inner drummer and noisemaker that exists in all of us! The Ozark Heritage Workshop will start with the joyful noise of hand clapping and foot stomping to get the sounds in our heads, and then begin connecting those sounds to the rhythms of Old-Time music. We will learn how the simplest and easiest sounds fit the music the best, and then add as many extra sounds as folks want to learn. Everyone who attends will bring something new home with them, along with an understanding of how percussion and percussive dance is an integral part of Old-Time music! Old-time music has been a family tradition for generations for Colbert Brothers Leon, Van, Vernon and John, all of whom hail from Willow Springs, Mo. 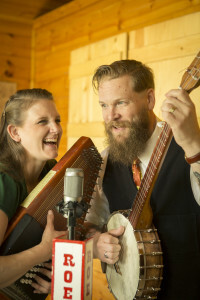 “Mom and Dad instilled in us the love of their music, and to this day we play, sing and remember,” said Van, who is known for his unique “two-finger” roll style on banjo. 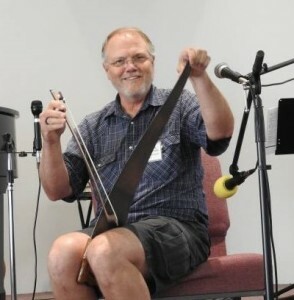 Billy Mathews (Carroll County) is an Arkansas State Champion, the first recipient of the J. Mulkey Kent award and has just completed the “500 Fiddle Tunes – Old-Time Archive” book transcribed by Emily Elam from Mountain View, Arkansas. Kim Roe is a traditional dancer who loves introducing folks of all ages to her unique style of Appalachian Clogging. She has been dancing most of her life, and clogging with the Roe Family Singers, for 6 years. 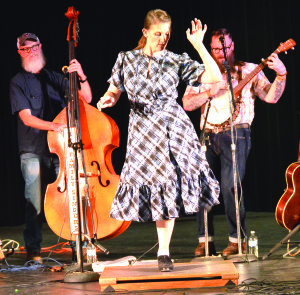 Her personal style of Appalachian Clogging focuses on joyful and non-choreographed improvisation based on responding to the music she is dancing to. Her introduction to clogging came from the Wild Goose Chase Cloggers, a clogging troupe based in Minneapolis, MN. Watching their performances inspired her to both take lessons from various members of the troupe, and study on her own via YouTube. Kim has placed in the Jig-dance Competition at the Old-Time Music and Ozark Heritage Festival in West Plains, MO, every year she has competed, and won in 2017. Kim’s workshop is for all ages and experience levels. It will start with the basic foot work involved in clogging and will progress to putting the steps together to form simple routines, with an emphasis on improvisation and self-expression through dance. This statement begs the question of why are there not more young folks getting involved in the traditional dances of the Ozarks? It is not a workshop on how to square dance but will give an introduction to the things that make this style of dancing and fiddling unique as compared to modern square dancing. The remainder of the workshop will focus on ideas generated by the group about possible ways to increase interest in this cultural art form that is becoming more scarce in the region. Michael Fraser landed his first teaching job in the Ozarks and immediately sought out old-time fiddlers and square dances. Attending square dances on weekends and teaching old-time square dancing in his High School Physical Education classes during the week he became proficient in both dancing and playing music for dances. He has “seconded” many fine Ozark fiddlers on guitar prior to learning how to fiddle for dances. In 1992-1994 he was chosen to serve as an apprentice to the late Bob Holt (who was named as a Master Ozark Square Dance Fiddler). 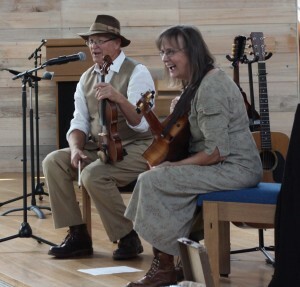 Michael performs with his partner Tenley Hansen for Contra Dances and Concerts on a regular basis throughout Missouri. “If you want to play the fiddle learn the mandolin. If you don’t want to play the fiddle learn mandolin anyway”. Many fiddlers that I have come across also play mandolin. The instrument is a great tool for learning tunes and chords that will allow participation in jam sessions or performance. The workshop will cover the basics of mandolin techniques for learning Old-Time and Celtic styles. A portion of the workshop will focus on learning chords, phrasing, cross picking, and how all these components can by infused into the learning of a tune. The workshop will be most beneficial to beginners and intermediate players. 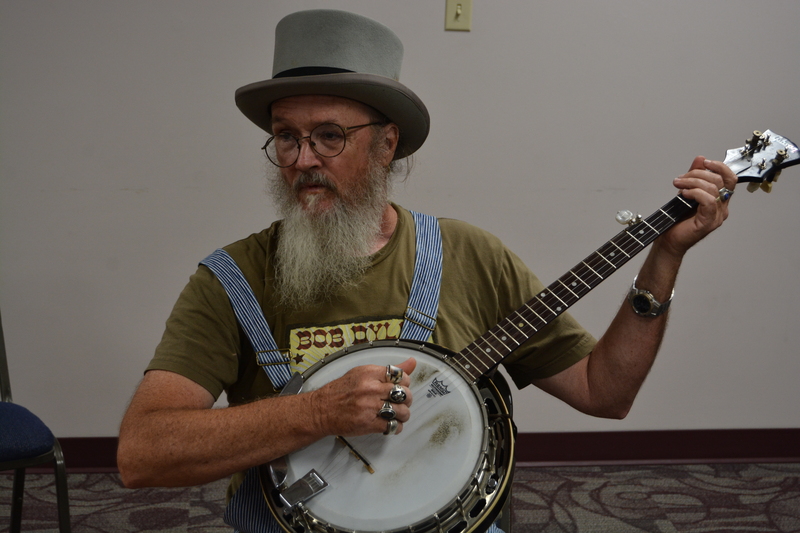 Michael Fraser has immersed himself into learning and teaching about Ozark culture and music. He is a founding member of the “Shortleaf Band” founded in 1990 which continues today as a duet with Tenley Hansen. 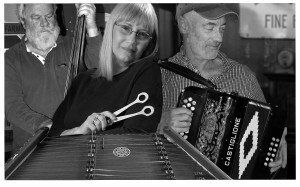 They are listed on the “Missouri Art’s Council’s Touring Artists” roster and perform at house concerts, contra dances, nature centers, festivals and many other venues featuring traditional old-time, and celtic music as well as some popular covers that represent the Ozarks. Eerie, weird, beautiful, horrible; Just a few of the words used to describe the “music” of the saw. Duane Porterfield has been playing the musical saw for several years now and has recently added a teaching class to his workshop schedule. So what do you need to get the most out of this class? First of all you need a saw. Duane learned on a Stanley. Most of those you find in a hardware store these days are short with plastic handles. Duane recommends you search antique stores or flea markets that offer the older style saws with longer blades, preferably 26-28”. Musical saws are available and are much more expensive. The difference is that a musical saw’s teeth are straight rather than staggered and the blades are typically longer for a greater note range. So if you invest in a good flexible carpenter saw, to learn on, and later discover that the music of the saw is not in your future, well, you still have a saw to build a dog house with. Next you need a bow. Again, look for a cheap fiddle, cello or bass bow. Even a child size bow will work. The workshop will have a limited number available. Rosin will be provided for the class. The main focus of the workshop will be dedicated to learning the technique used to produce musical notes on the saw. Arranging those notes into a tune depends largely on the musical ear of the player. If you can hum a tune, you should be able to play a tune with a little practice. So come join the fun. Every band needs a saw player, kinda. Victoria Johnson and Turner Collins will demonstrate and discuss the history of hammer dulcimer and harp. Come and learn all about the instruments. Bring your instrument if you have one. 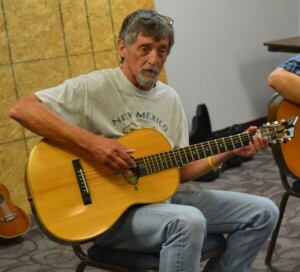 Inspired by Chet Atkins and Merle Travis, Dennis Crider learned the fingerpicking technique at the age of 12. His older brother had already figured it out so Dennis thought he would give it a try. So an all-night solo jam session did the trick back around 1955. This workshop will illustrate several methods of picking a guitar without the aid of picks……only a thumb and three fingers. Another focus will involve playing rhythm fingerstyle. Dennis enjoys picking with those who are more capable of hitting the hot licks, and there are plenty of them out there. This allows him to accompany these super pickers and help them sound better by staying in the groove with steady rhythm.